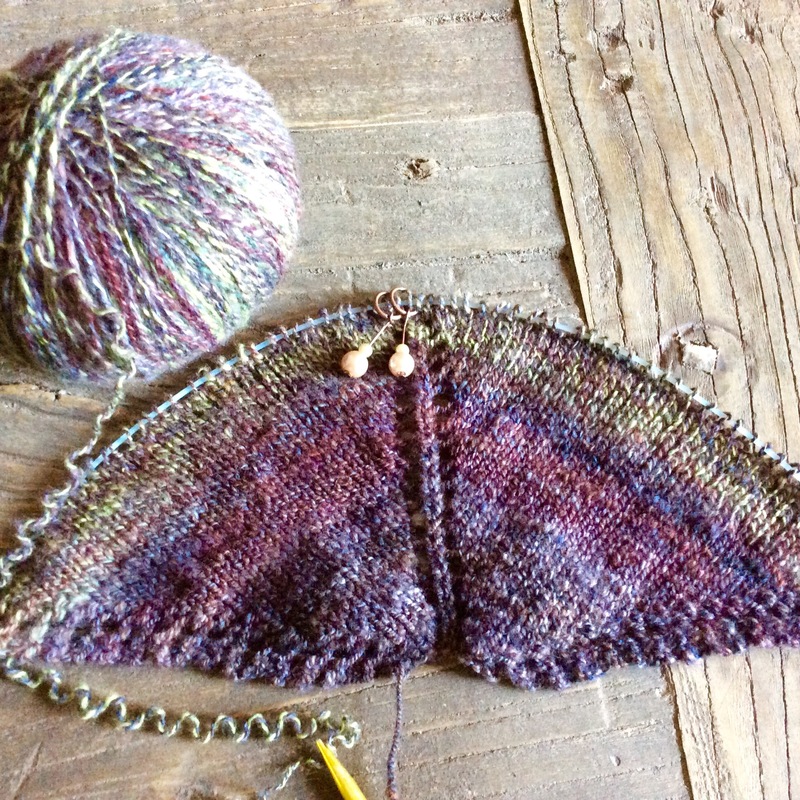 I’ve made some progress on the shawl. 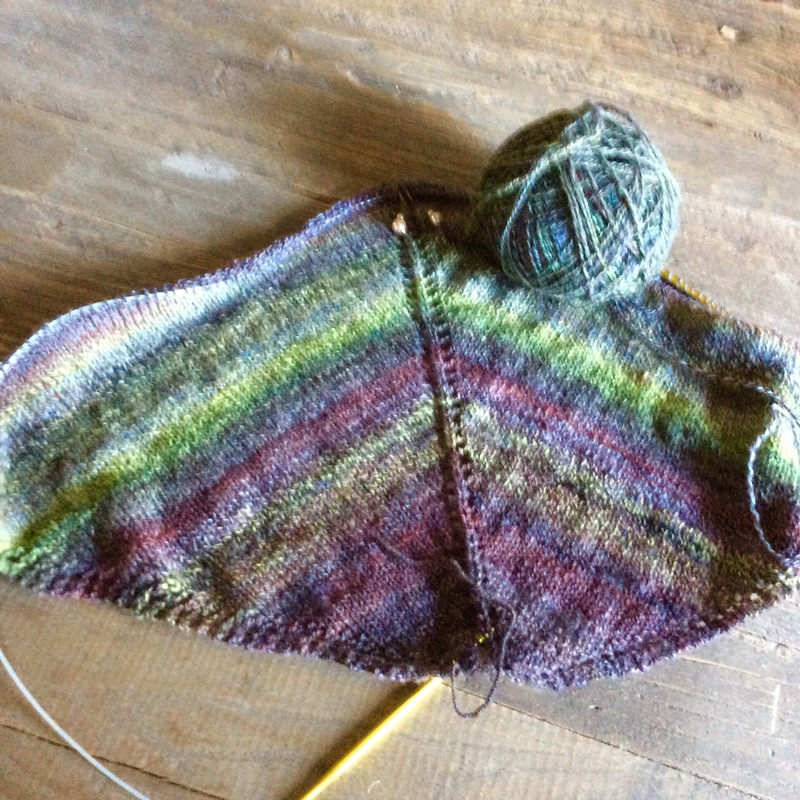 While admiring the yarn and all the colours I found two places where I forgot to do yarn overs. Usually this wouldn’t bother me too much but there will be a lace part and I need a certain amount of stitches. 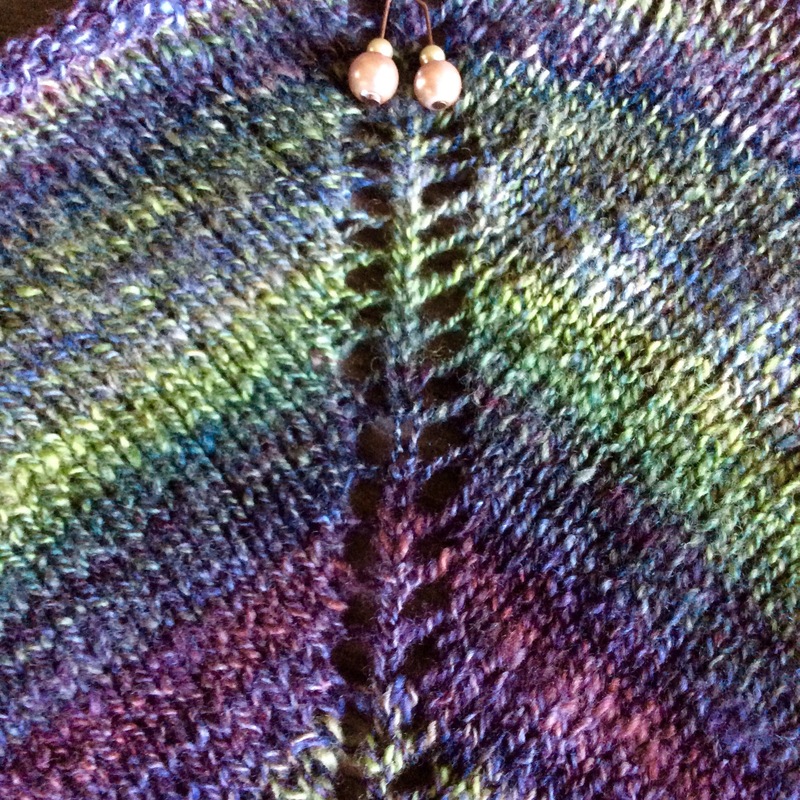 I could just make two stitches somewhere but it’s an easy knit so I don’t mind ripping back a little and making it right. That’s what I get with paying no attention to what I’m doing. It’s really hard to tell where the mistake is. But here I am ripping it back. Update: I made a huge mistake! It went back way further than I thought it would.